Wood fired porcelain with celadon glaze. Asato Ikeda was born in Tobe Cho (1979), the Ehime prefecture in Japan. 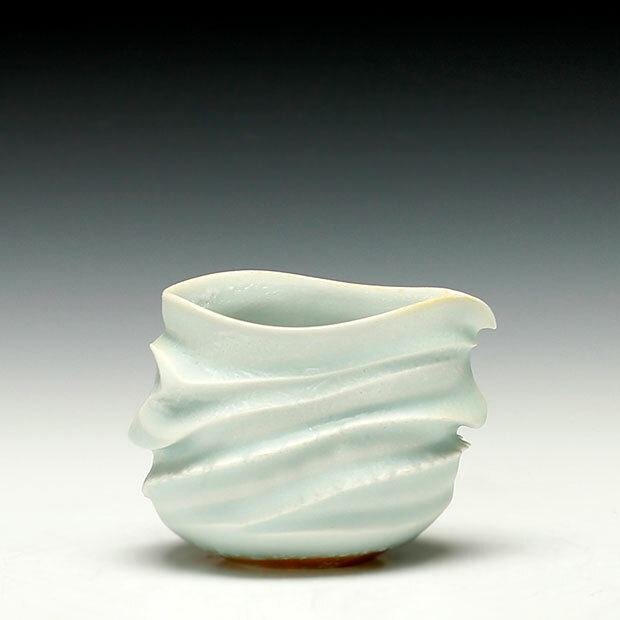 In 1997 he graduated from a ceramics program at Arita Technical High School in Saga, Japan. From 2006 to 2008 he was dispatched as a Japanese Overseas Cooperation Volunteer by the Japanese government and taught ceramics to underprivileged children. 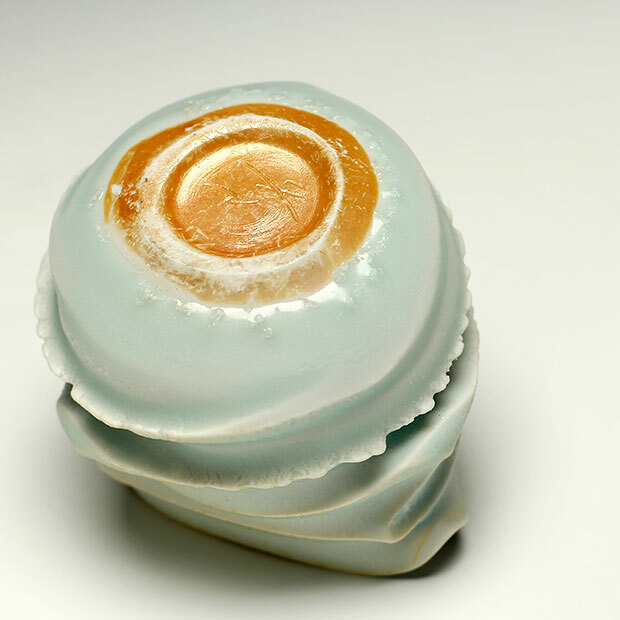 Since 2008, he has explored his own creative pottery process in Ryu-sen, Tobecho, exhibiting at numerous galleries in Tokyo. 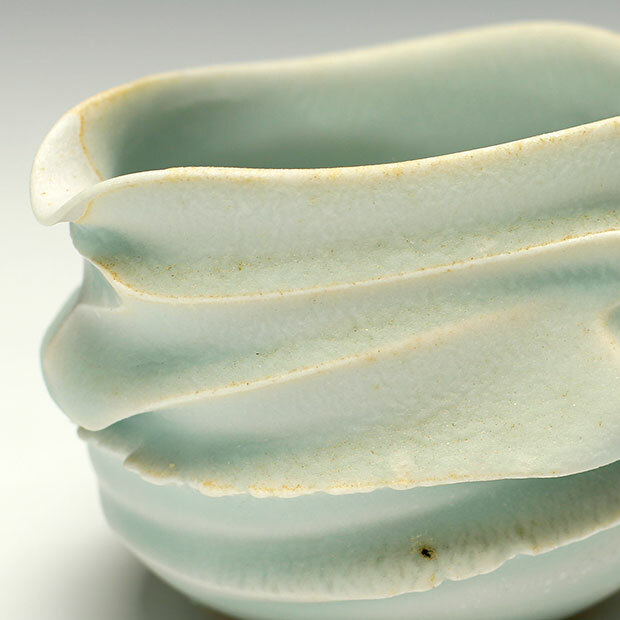 Asato Ikeda came from a family tradition in pottery. His family is one of the most prominent producers of tobe-yaki style ceramics operating today, with their work found throughout Japan. The family's workshop Ryusen-Gama, which has operated for over 45 years, is famous for its pale green-blue lacquer colour. While there are elements of the family heritage visible in his work, Asato Ikeda takes a more experimental and conceptual approach. The characteristic marks of his work are thick lines resembling waves which, in addition to creating a more sculptural form, also make a more ergonomic surface for the hand.